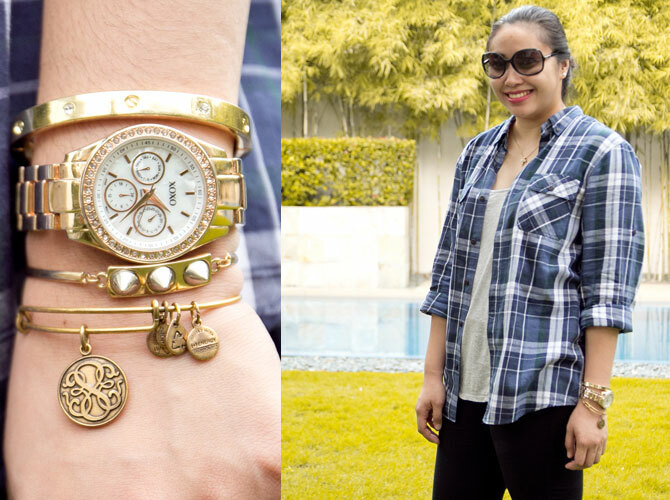 We dared the Cosmo editors to wear something trendy, yet doable this week: plaid! Cosmopolitan's Fashion Editor Happy Lopez heads to an outdoor shoot wearing a plaid button-down shirt over her grey tank, with stacked bling as accessories. 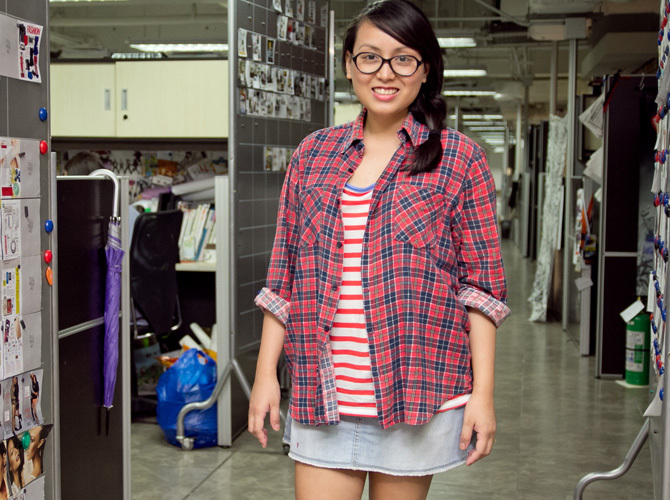 Cosmopolitan's Editorial Director Myrza Sison proves that plaid shouldn't just be restricted to polos. We're loving the studded leather cuffs, too! Cosmopolitan's Managing Editor Camyl Besinga shows how you, too, can work a print-on-print combo. Just make sure both prints are within the same color family and you're good to go! Yep, the '90s are back! Cosmo.ph's Gianna Banzon pairs her cropped top with denim shorts and accessorizes by wrapping a plaid polo around her waist. We couldn't resist including Candy magazine's editor-in-chief Marla Miniano in our weekly roundup after she came to work in an LBD and an embellished cover-up hoodie! Officially obsessed with her boots, too! P.S. We're daring y'all to wear something trendy to work! Next week, wear anything EMBELLISHED, post a photo of yourself on Instagram, and tag @cosmopolitan_philippines. Don't forget to include the hashtag, #CosmoFashionFriday! We'll round up the best reader outfits in our upcoming Cosmo Fashion Friday galleries.